GM has been testing fully autonomous development fleet vehicles such as the Chevrolet Bolt in Michigan and said Thursday it will invest $14 million in a new r&d center in San Francisco to advance its autonomous vehicle efforts. General Motors Co. said on Thursday it will add more than 1,100 jobs in California over five years at its Cruise Automation unit to boost self-driving efforts after receiving $8 million in state tax credits. The automaker said it is investing $14 million in a new research and development center in San Francisco that will more than double its current space. GM acquired Cruise Automation for $1 billion in March 2016 as part of its effort to build autonomous vehicles. 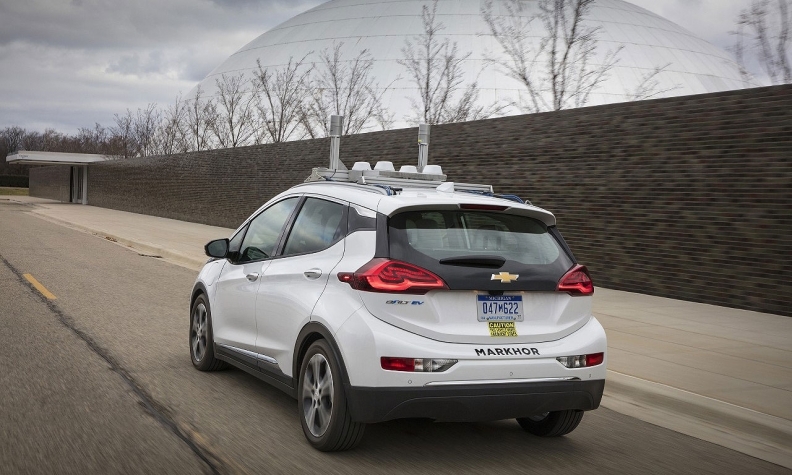 GM is testing more than 50 Chevrolet Bolt electric vehicles with self-driving technology on public roads in San Francisco, the Detroit metropolitan area and Scottsdale, Arizona. "Running our autonomous vehicle program as a startup is giving us the speed we need to continue to stay at the forefront of development of these technologies and the market applications," GM Chief Executive Mary Barra said in a statement. When GM acquired Cruise in 2016, the company had been working to develop hardware and software that could be installed in a vehicle to enable the car or light truck to pilot itself on a highway, without the driver steering or braking. Auto companies are making major investments in ride-sharing and technology companies as industry executives worry that the century-old business of building and selling cars that people drive themselves may shift rapidly in the coming years. California has aggressively courted companies to invest in self-driving r&d. A state filing said GM had 485 direct employees in California last year and will have more than 1,640 by 2021. "GM’s investment is further proof that California is leading the nation in the design, engineering and deployment of autonomous vehicles,” said Panorea Avdis, director of the California Governor’s Office of Business and Economic Development.